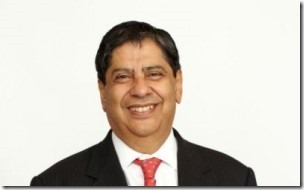 London/Mumbai – Mumbai-born Parsi lawyer Sarosh Zaiwala Wednesday notched a remarkable success in a bank case in the British Supreme Court, with major ramifications on the international banking system, an official said. By the court verdict, the British government’s sanctions on Iran’s largest private bank, Bank Mellat, were lifted after the its security service’s “Secret Court” failed to produce significant evidence in the matter – which has been widely followed in the international banking circles. Bank Mellat has succeeded in getting the British sanctions held against it as unlawful after the Supreme Court dismissed claims that its banking services facilitated Iran’s nuclear programme. “The verdict by a 9-judge bench has shown to the international community that in the UK and Europe, international sanctions are judicially reviewable and that sanctions should be substantiated by evidence,” Zaiwalla told IANS on the phone from London. 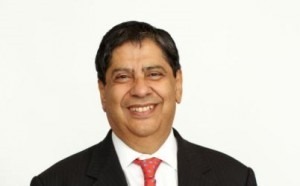 The Bank Mellat, slapped with a listing under the Iran nuclear sanctions list, was represented by Indian legal eagle Zaiwalla, Senior Partner, Zaiwalla &amp; Co., Solicitors, in Britain. Owing to the importance of the case, Bank Mellat’s appeal was heard by a nine-judge bench. The court has 12 judges. The landmark ruling follows Bank Mellat’s victory in the European Court in January, where no evidence was found connecting the bank to its government’s nuclear programme. In Oct. 2009, Her Majesty’s Treasury (HMT) had invoked the Section 7 of the Counter Terrorism Act, 2008, restraining the financial sector from any dealings with Bank Mellat. This was challenged at several levels by the bank. The ruling comes at a significant time as Iran has a newly-elected president, who commentators hope will aim to progress towards a mutually acceptable resolution of Iran’s nuclear activity, according to international observers. Zaiwalla said that the Supreme Court, during the course of hearing Bank Mellat’s appeal, had reluctantly entered into “secret session” for the first time in its history – effectively barring the bank from accessing the evidence against it. “The failure of the HM Treasury to produce compelling evidence, despite the controversial new powers, puts the spotlight back on to the Justice and Security Bill, which expanded the system of closed courts to civil cases,” Zaiwalla pointed out. He had argued against the imposition of closed courts on the ground that this contravenes the British common law principle of open justice. The Supreme Court is now expected to order the British Government to pay Bank Mellat all of its legal costs and damages for the wrongful listing on the sanctions list. The ruling sends a strong message to the British government that political expediency is not a sufficient legal justification for sanctions against Iranian private businesses which operate out of Iran. Ultimately, the Supreme Court has upheld the principle of Rule of Law. Zaiwalla expected the judgment will give enormous confidence world over of the independence of the British judiciary and set an example to show that even controversial disputes can be resolved applying the principle of Rule of Law through the British courts. After Bank Mellat failed in the English High Court and the Court of Appeal, it had replaced its earlier legal advisors with Zaiwalla &amp; Co in 2010 – to notch victories in the European Court and then in the British Supreme Court. The ruling has firmly established that even in cases involving national security, the UK government must abide by the rule of law, with the sum of the justifications for the sanctions considered “arbitrary”, “irrational” and “discriminatory”, a law firm associate noted.